From time to time I read stories of bygone eras when men were real men, boats were real boats, and oceans were an empire to be conquered. In those days, sailors could tie 427 different types of knots (using only their teeth) while dangling 100 feet above the icy deck of a ship buffeted by hurricane force winds. Global circumnavigation meant dangerous forays into high latitudes where nature was free to flex her muscles. And the southern tip of Africa, the Cape of Good Hope, was a jewel in many a sailor’s crown and the final nail in more than one coffin. 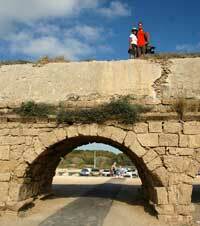 Thankfully, in the 1800s someone dug a ditch between the Red Sea and the Mediterranean Sea. Today we call that ditch the Suez Canal. It saves cargo ships and (more importantly) cruising yachts a tremendous amount of time and effort. Now cruisers can choose between sailing south under Africa or heading north to the Mediterranean. Originally our plan was to go south but we changed our mind along the way. In cruising circles the Canal is considered the final leg of the gauntlet up the Red Sea. Stories of excessive baksheesh (this is still Egypt, after all) and clashes with canal authorities abound, but after three months of bashing to windward up the Red Sea, most people are willing to put up with anything to get to the Med (that’s cool yachtie slang for “Mediterranean Sea”). 1. This is one of the highest trafficked waterways in the world. The government makes a lot of money by charging vessels to go through. 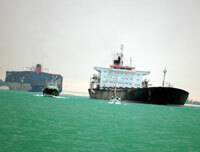 There is a complicated mathematical formula to assess the fee for each vessel that transits the canal. 2. Every vessel that goes through the canal is assigned a pilot (in the nautical world, pilots have nothing to do with airplanes…they are people with local knowledge of a certain harbor who (hopefully) know how to drive ships…almost every port in the world puts one of their pilots on board arriving cargo ships to guide them in safely). Cruising yachts get pilots, too. This is both good and bad. It’s good because the risk of getting run over by an oil tanker in the middle of the canal is greatly diminished with a pilot on board. It’s bad because pilots are assigned randomly, so it’s possible that you might get an unpleasant one. 4. …which brings me to the pilot boats (boats used to drop off and pick up the pilots from ships)…Suez Canal pilot boats have a rather nasty reputation amongst cruisers for ramming yachts when they pick up pilots, especially when you don’t give baksheesh to the captain of the pilot boat. (You’re starting to see how this works, aren’t you?) 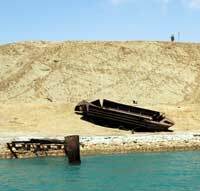 Our plan was to drop Ahmed off at the Port Said yacht club instead of allowing one of the mammoth pilot boats to come alongside us. This was a good idea right up until the time we saw the disrepair of the yacht club and the relatively small pilot boat that came out to meet us. We decided to offload Ahmed straight onto the pilot boat instead of docking at the marina. Ahmed chose this moment to tie his shoes in a manner which can only be described as “slower than a pre-adolescent sloth”. Now the guys on the pilot boat yelled that they wanted baksheesh. Dad yelled for Ahmed to get off the boat. Everybody was getting annoyed, and Exit Only was getting really close to the Pier of Doom. Mom gave the pilot boat a candy bar. They insisted on two because there were two men in the boat. Mom refused. Stalemate again. More yelling. Exit Only drifted uncomfortably close to the Pier of Imminent Destruction, which the pilot boat was hoping would pressure us into giving them more stuff. Ahmed took this opportunity to straighten his socks. No dice. To quote dad: “We do not respond very well to extortion.” Yelling continued but no more baksheesh was to be had this day. I began to hope Ahmed brought his passport with him, because if he didn’t get off Exit Only, he was in for a trip to Israel. Ahmed got off the boat. Justice prevailed. What a punk. 5. The Suez Canal is 190 km long. It takes a couple days to transit. I had read somewhere that it would be boring, but I heartily disagree. The canal has a strong military presence along its entire length….lots of guys with guns. We passed long convoys of container ships and even saw one of the royal Saudi Arabian pleasure yachts (which more closely resembled an ocean liner than a yacht). 6. At the half way point of the canal is a city called Ismailiyah. 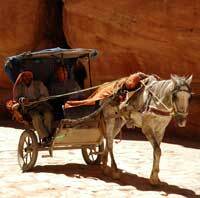 This town proved to be one of the highlights of Egypt for me because it doesn’t depend on the tourist trade. We could walk around freely without getting assaulted by shop owners selling genuine scale replicas of King Tut’s cat. 7. All in all, the Suez Canal was relatively painless. As soon as we dropped Ahmed on the pilot boat, we headed out into the Med to be greeted by a pod of dolphins. I don’t think any of us expected to visit Israel on this voyage, but a last minute change of plan made it our first stop in the Med. 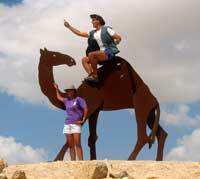 Israel is a very interesting country. It is completely different than I expected…walking around Ashkelon (the port we entered) feels like a cross between America, Australia, and a bit of Europe. One of the things that surprises me the most is how much I stand out when I speak English. With everyone dressing in western fashion, I automatically assume they speak my language too, which, it turns out, they often don’t. Hebrew is the language of choice here. 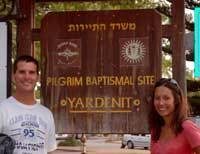 Almost all signs are in Hebrew, with a few doubling in Arabic and English. I realize that doesn’t seem like a big deal, but it surprised me. Everything looks western, but it isn’t. Israel takes their security VERY seriously. Just entering the country took the better part of a day. There is a constant stream of patrol aircraft up and down the coast, and we can hear the occasional thump of distant explosions in the Gaza Strip (which is just 12 km south of Ashkelon). 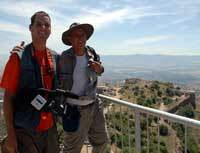 There is so much to see in Israel that we couldn’t hope to cover everything in the short time we are here. Instead of surrendering to this or any logic, we chose to rent a car and drive like maniacs to every corner of the country. 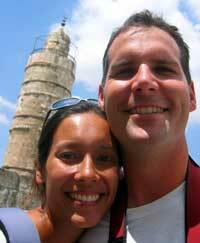 First we visited the Old City of Jerusalem with a group of fellow yachties. We took a taxi so we wouldn’t get lost or have to worry about parking. 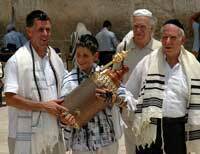 Ironically enough, we hired the only taxi driver in the country who had never been to Jerusalem. He got lost almost immediately upon entering the city. Eventually we did make it to the Old City, at which point we optimistically arranged for the taxi driver to pick us up in the evening from a different gate than he dropped us off at…which meant that he was an hour late that evening when he got lost trying to find the other gate. 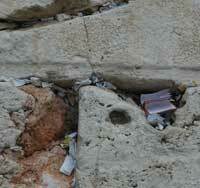 I expected the Old City of Jerusalem to look like the mud cities of the Middle East we have seen elsewhere. Boy was I wrong. This town has been conquered and rebuilt so many times in the past two thousand years that it bears little, if any, resemblance to the metropolis of Jesus’ time. 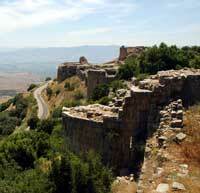 Most of the architecture seemed to be from the time of the Crusaders. 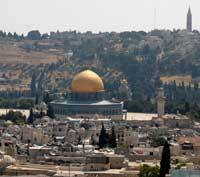 To really get a feel for all the things we saw in Jerusalem, check out Sarah’s journal. Another highlight of our trip was swimming in the Dead Sea. 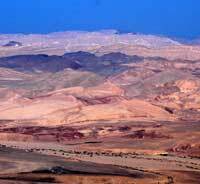 The Dead Sea is an inland lake fed by the Jordan River. 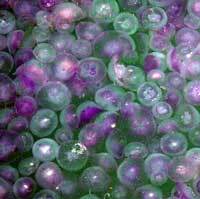 It has the highest salt content of any body of water on earth, which means that swimmers float with unusual buoyancy. What you don’t read in the brochure is that the water has a truly nasty flavor and will sting your eyes like there is no tomorrow…which wouldn’t matter except for one important fact: I love splashing. It took about thirty seconds of swimming for me to successfully ingest a mouthful of insidious water. It tastes like sulpheric acid (don’t ask me how I know this…it’s a long story involving an unfortunate chemistry class, a rather poorly timed nap, and a dream about instant pudding, but I digress…). While frantically spitting the foulness out, I accidentally splashed a plume of acid…I mean, water, directly into my right eye. Ow. OwOwOwOw. In a flurry of motion I spun around to get into shallower water, inadvertently splashing Sarah in the face. Uh-oh. Big mistake. And that, my friends, is why they call it the Dead Sea. 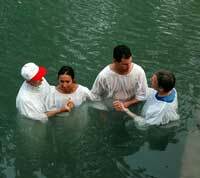 While driving north to the Sea of Galilee, we saw a group of white-robed people getting baptized at one of the official baptism sites on the Jordan River. We went in to watch the proceedings and learned they were a church group from Capital Christian Center in Sacramento, CA. Very nice people. As the line got shorter, Sarah and I thought it was a great opportunity to get baptized together, so we asked the pastors if it would be ok, and they generously agreed. If either of you are reading this, thanks again! A special thanks to the man who loaned me his extra white robe, too (sorry that I didn’t get your name)! Sarah and I are going to visit your church sometime. 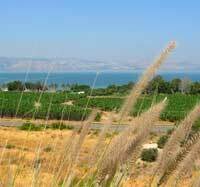 The Sea of Galilee is the backdrop for many stories about Jesus and his ministry. This is where the disciples hung out and fished, where Jesus walked on the water, and where he gave the Sermon on the Mount. The first thing that struck me when I saw the Sea was that whoever named it had vastly different standards than mine about what constitutes a large body of water….to me, it seems more of a large lake than a sea. 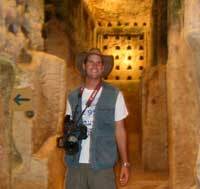 Seeing the biblical sites first hand filled in so many blanks in my mind. Now when I read the stories of Jesus feeding the five thousand or casting out a demon into a herd of pigs, the images are richer. Israel is right next to Jordan, so we couldn’t pass up the chance to see Petra. 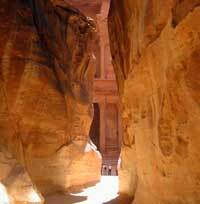 For those of you who don’t know, Petra is an ancient Nabatean city carved in the sandstone walls of a Jordanian canyon. 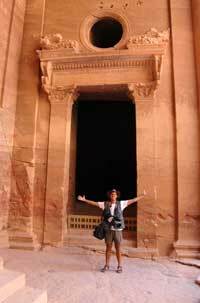 You probably saw one of its most famous tombs at the end of Indiana Jones and the Last Crusade, when Indy, his dad, Marcus, and Saleh ride horses away from the temple of the Holy Grail. 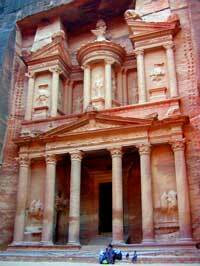 That “temple” is actually a tomb called the “Treasury” which sits at the dramatic entrance to Petra. I’ve always been an Indy fan, so the Treasury alone was worth the price of admission. 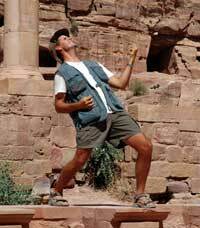 Petra was built by the Nabateans over two thousands years ago. Over time it faded into obscurity to become a legend. 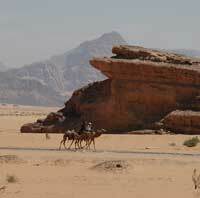 Bedouins moved in, and the remnants of the once powerful kingdom became homes for nomadic tribesmen and their goats. 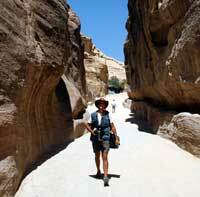 The natural features of Petra’s canyons made it easy for the Bedouin to keep its location secret until 1812, when a German explorer posing as a Bedouin convinced a guide to take him to the lost city. Voila! The word was out and it was only a matter of time before Harrison Ford and Sean Connery would ride down the canyon on their noble steeds. 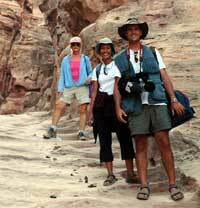 In high season there are 2000-3000 visitors a day to Petra. On the day we visited, there were less than 200. 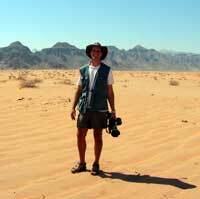 This is one of the advantages of visiting desert tourist sites in the summer. The obvious disadvantage is that it is hot. 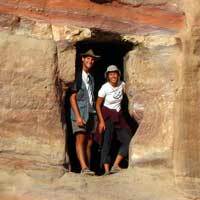 Fortunately, there are plenty of Jordanians willing to sell you donkey, horse cart, or camel rides through the tombs. 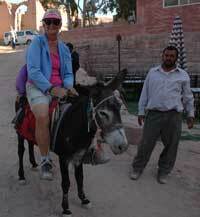 Mom took a memorable donkey ride up the +900 steps to magnificent tomb called the “Monastery”. I gained a new respect for the athletic prowess of donkeys as I sprinted past it again and again to film its relentless drive up the mountain. I don’t think it even broke a sweat. 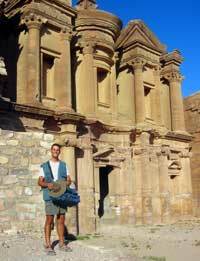 Visiting Petra has been one of my life goals for ages, so it was great to check it off the list. It’s one of those places I would go back to in an instant. Truly magical. I hope the video footage turns out well. OK, that should cover it for now. Next up, Cyprus…. Nimro......ok, it's no longer funny. If Indy walked, so shall I. Wait, didn't Indy ride? I'm not sure. travel by cart, so neither shall I.
for a pretentious air guitar pose? The Monastery - Let's hope David doesn't join up.